Participants cannot turn seven(7) prior to December 31st of the current year. Practice will begin mid-August and will last until November. The Kids will have 1-2 practices per week. 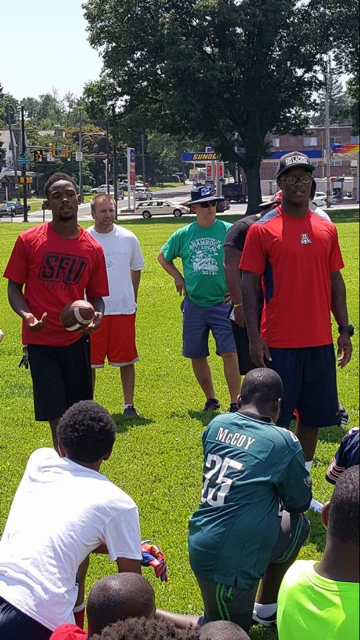 Parents interested in coaching or for more information concerning Flag Football please contact Deb Martelon 267-767-1000. Participants must be at least 6 years old by the end of the calendar year. 6 and 7 year olds who weigh a maximum of 70-75lb* in their game pants are eligible to play. In addition 8 year olds who weight 50lbs or less. 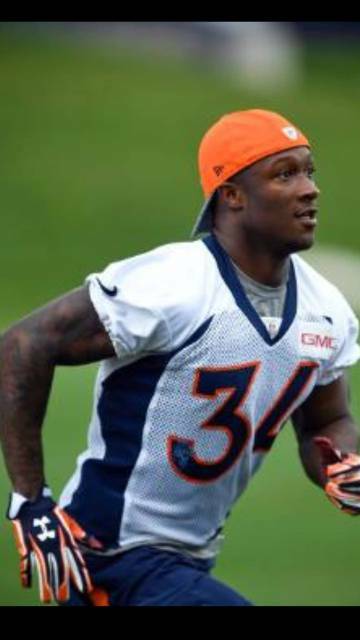 Practice will begin on July 24thd. The kids will practice 4 days a week until school starts and 2 days a week after school starts. We usually play 2-3 preseason games between mid-August and mid-September. Our regular season starts in mid-September and last till mid November. Participants to old/big for Instructional up to 9 years old who weigh 90-95lb* in their game pants are eligible to play. In addition the KSL allows kids who are older lighter to play at this level. A 10 year old weighing 65lb or less may play. Practice will begin on July 24th. The kids will practice 4 days a week until school starts and 2 days a week after school starts. We usually play 2-3 preseason games between mid-August and mid-September. Our regular season starts in mid-September and last to end of November. At this level the KSL has playoffs and this can add a week or two to the season for teams that qualify. Participants to old/big for Pewee up to 11 years old who weigh 110-115* in their game pants are eligible to play. In addition the KSL allows kids who are older lighter to play at this level. A 12 year old weighing 85lbs or less may play on. Practice will begin on July 24th. The kids will practice 4 days a week until school starts and 2-3 days a week after school starts. We usually play 2-3 preseason games between mid-August and mid-September. Our regular season starts in mid-September and last till November. At this level the KSL has playoffs and this can add a week or two to the season for teams that qualify. Participants to old/big for Midgets up to 13 years old who weigh 130-135* in their game pants are eligible to play. Practice will begin on July 24th. The kids will practice 4 days a week until school starts and 2- 3 days a week after school starts. We usually play 2-3 preseason games between mid-August and mid-September. Our regular season starts in mid-September and last till November. At this level the KSL has playoffs and this can add a week or two to the season for teams that qualify. Participants to old/big for Junior up to 15 years old who weigh 150-155* in their game pants are eligible to play. *The KSL allows the kids to gain a pound a week after week one up until week 6. That is why all weights are listed with a 5lb range. 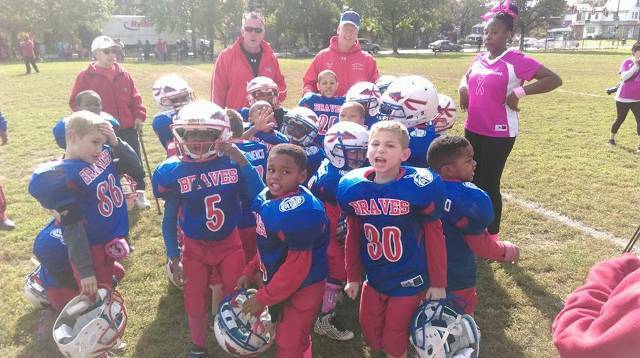 The Wissahickon Braves Athletic Association is a nonprofit youth sports organization that was formed in 1967. We are an organization that promotes youth football and cheerleading for children ages 3-15. We believe we build character in today’s youth by teaching respect, responsibility, fairness, and good sportsmanship. 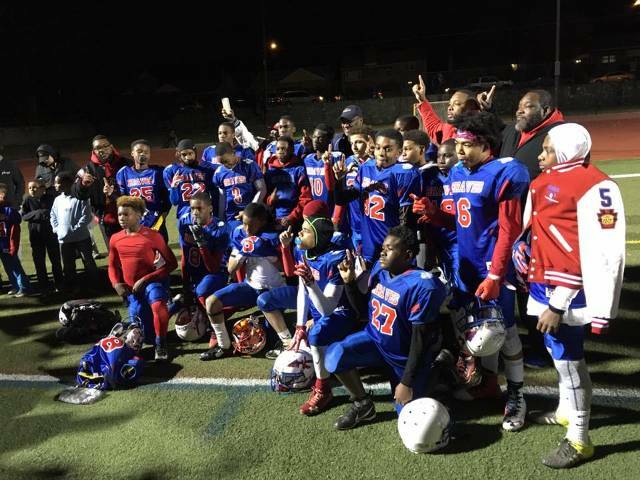 We are a longstanding member of the Keystone State League, which is one of the oldest and considered by many to be the most competitive youth football league in the area. As a member of the Keystone State League, the Wissahickon Braves tackle teams play competitive football against other area organizations in 4 weight classes 65lb, 75lb,90lb and 105lb.. We also have an instructional 55 pound weight class that plays a full schedule of games, yet offers an environment of learning about the game and sportsmanship. For our youngest participants and beginners (ages 3-6) we offer the opportunity for a travel flag team and an in-house flag league. The no-contact play allows our younger players to enjoy a fun and rewarding introduction to the game. . 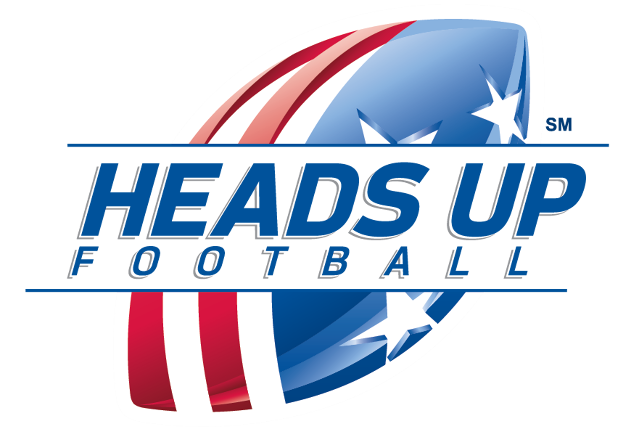 The Wissahickon Braves proudly participates in USA Football’s “Heads up” initiative as part of our dedication to the safety of our athletes. This program provides education and resources for coaches, athletes and parents in order to provide the safest possible environment for completion. WBF is committed to providing a safe environment for our members and your children. All of our volunteers have background checks and clearances. Our coaches are dedicated to our players both on and off the field. They understand their role as role model and mentor. We believe we have the ultimate mix of long standing coaches and new coaches that work together to offer our kids the best possible experience. While many of our coaches had children involved at one point, they have continued or returned to offer the same experience to other children. We have no geographic boundaries or limitations. We have players from not only our community but also from other parts of the city as well as the suburbs. 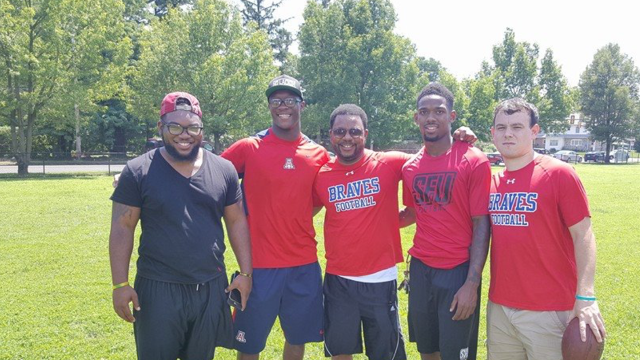 We feel that is good for our players to have friends and teammates from many different communities as this helps creates friendships outside of their usual circles. These are friendships that the players will value and last a lifetime. The Wissahickon Braves have a long standing tradition of excellence. 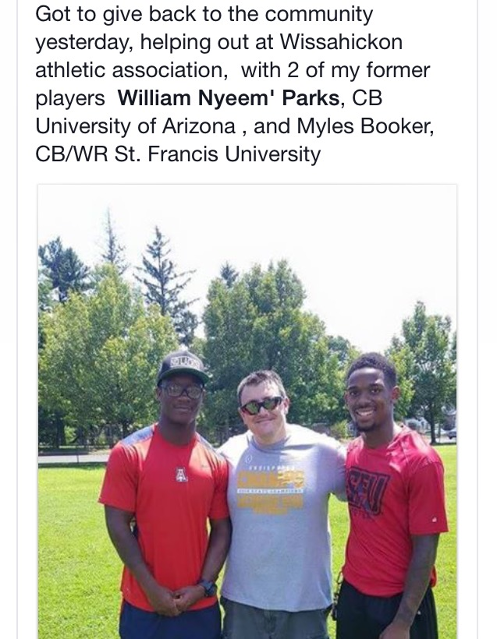 We have had countless players from our program go on to play high school; collegiately and some have played professionally. We believe that playing against the best competition in the area sets the tone for hard work and dedication and helps to develop the attitude and drive needed for future success whether on or off the field. thank you to the families and fans for your continued support. and thank you to our coaches, who believed enough in our boys to push them to RESPECT- themselves, each other, their opponents, and the game. THANK YOU for your commitment and dedication to our boys. looking for something for the kids to do over the winter before baseball season starts? Weeknights only so won't conflict with weekend activities or plans…. Starts on Tuesday January 9th, 2017 and will run until March. Programs will run out of Kendrick Rec Center and Cook Wissahickon School gym. So what are you waiting for, Don't miss out!!!!! 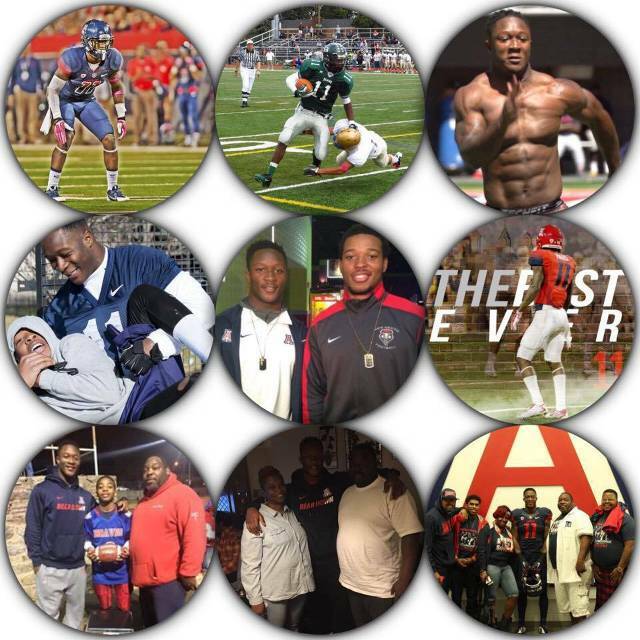 SPEED LIMIT INTO DAISY FIELD IS 10MPH..
"We have been truly blessed to have been a part of your journey and could not think of a better role model for not only our kids but for us your coaches...and we cannot wait to see where it all leads...!!!"